Harmony California is the place Randolph Hearst stopped on the way to his ranch to purchase fresh milk products. 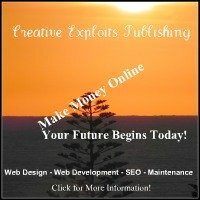 Today it is no longer a dairy but it has several things of interest to the traveler. Harmony is an interesting, little central coast community located on Highway 1 between Cambria and Cayucos. The town is famous for many things but it is most famous for its thriving population of 18 people. Honestly, I don't think 18 people live in Harmony today. My wife and visited Harmony California the other day and I found it to be more significant for its history than anything else. 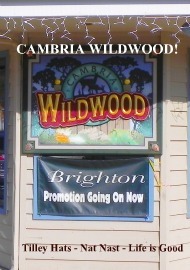 Actually we live about 7 miles from Harmony in Cambria, California but we don't stop to visit very often. I did enjoy watching the young boy blow glass but glass blowing was second compared to reading the history of Harmony written on the out side wall of the post office. The history on the wall talked about Randolph Hearst stopping by on the way to his ranch to pick up fresh milk. Harmony was a dairy farm for many years. 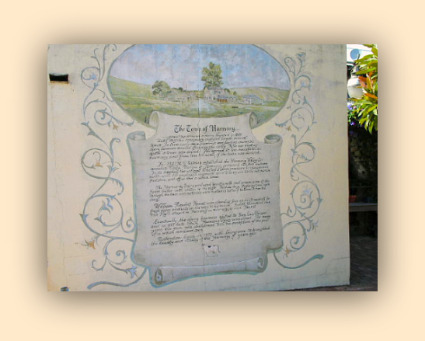 In the early 1800's the swiss settled in the town and start dairy farming. 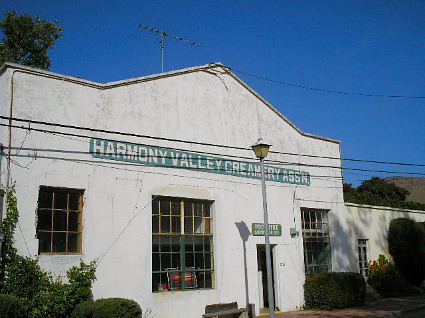 According to Wikipedia Harmony was founded in 1869 around several dairy ranches and a creamery. The operation changed hands repeatedly because of rivalries that led to a killing. In 1907, owners and ranchers agreed to call off their feud and called the town by its present name as a symbol of their truce. The Harmony California Valley Dairy Co-op was founded in 1901, and the town grew, soon hosting a dairy management office, dormitories for employees, a livery stable, blacksmith and later a gas station. 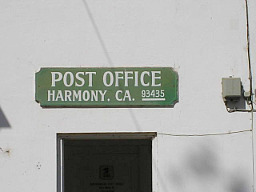 Shortly, a school was built and a feed store and post office gave Harmony official status as a community. At its peak, the creamery employed 10 workers, producing high quality dairy products, including butter and cheese that gave Harmony name recognition statewide. The creamery purified butter by cooking it in the traditional Swiss way, clarifying and giving it a golden color; old-world dairymen claimed butter produced by this method never turned rancid. 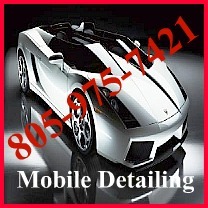 Tourists traveling Hwy 1 often stopped for fresh buttermilk and a famed publisher William Randolph Hearst stopped often in Harmony on his way to his opulent home in San Simeon, 12 miles northwest, as did many of the Hollywood celebrities who were frequent guests of Hearst." While taking pictures and standing on the street I tried to picture Mr Hearst riding up and stepping out of his truck and buying milk. It was a thrill to feel the presence of the past set on the stage of today. Honestly, I loved Harmony and I am certain you will as well. Harmony, California reminded me of a town you would see in the movies. A little western town with gun fighters lining the streets. I didn't see any gun fighters but the old creamery building was really cool. My wife I liked the glass blower. He would put the raw glass on a long pole, stick into a fire and then repeat the process. After preparing the material the young man started blowing through a tube while shaping the piece. 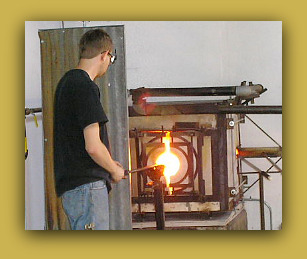 It is a fact, the art of blowing glass is rare. You need to plan on stopping in Harmony California to watch the glass blower. 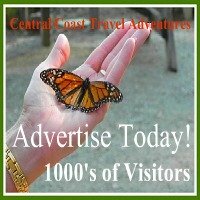 We want to help you plan your trip by giving you valuable "real time" Information about the Central Coast. In Harmony you can also find a small little wedding chapel, a pottery shop and up on the hill you can even taste wine.